Good job, thanks for the brushes !!! Thank you for the Brushes.. fantastic!! These look like fun. Thanks for your generosity. Have downloaded. Will credit if used. Thanks very much! 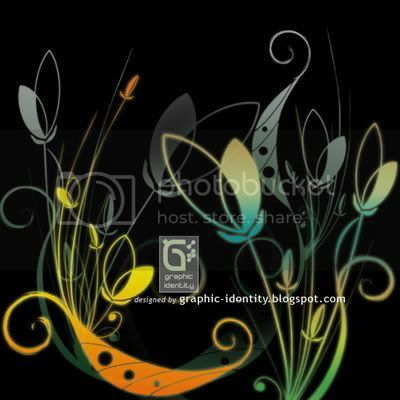 thank you ;) yes I designed them by myself..and now I'm working on the new one..same thing: floral and foliage decorative photoshop brushes..so stay tune! Fantastic brush set. I appreciate your talent and will credit if used. Thank u, come back anytime if you like..
Brushes ini cantik!! Terima kasih banyak sekali. Oh, beautiful brushes. I am so glad I found you, through dA. Hi Floosy..thanks for dropping by and so glad that u like my PS brushes.. :) you can speak Indonesia also? ?..ow terima kasih kembali! i love your idea with the brushes!thanks a bunch! Love your brushes, your so damn generous! LOL..happy that you love them...this brush set is the first I made for the Floral series. Now I have the 4th collection of this series..make sure that you have seen them all. Have a nice weekend..
thank you! :) i've been sitting in front of my computer for so long looking for floral brushes.. now i finally found something! These brushes are so beautiful! I'm going to download all of them! Oh, I can wait to use these, very pretty! Thank you for sharing your talent! Appreciate all of your comments to this post! Stay tune for the next free design box by subscribing to Graphic Identity! tanks,tanks,tanks,Good job, thanks for the brushes !!! thanks so much! : ) i saw this on deviant art and its gorgeous esp. part 3 of the set! thank u much! Thanks for tutorial and nice brushes! these brushes are awesome :) thanks very much for sharing them with the world! Nice set of brushes ! Thnaks for the share ! thanks!!! It's really appreciated !!! terima kasih banyak. brushnya bagus2. Thank you for your GREAT work!! I've been looking for such nice brushes! Thumbs up for your brushes. Many Thanks! exCellent brushes...you are very creative, good job man! Hi,Thank you very much for your brushes! You are a goodun!